While the skincare industry convinces most consumers that soaps, toners, and astringents are necessary in achieving a perfect complexion, the oil cleansing method works on the exact opposite principle. Instead of slathering excessive products on your skin, you clean it with oil. Most people find the idea of using oils to cleanse the skin a little unconventional. However, if you've already used too many products in search for softer, radiant looking skin, then you'll want to know why this method could be the best switch you can make for your skin. What Oils Should You Use? This method of skin cleansing could probably break most of what you know about proper skin care, particularly if you have the oily and sensitive type. Instead of using chemicals and synthetic ingredients, OCM relies on the right combination of oils to naturally clean the face. Aside from cleaning your skin, oil cleansers are infused with antioxidant and moisturizing properties. They strip off not only deep-seated dirt but take away the bad oils from your skin as well. Because of these benefits, OCM has been clearly taking the skincare industry by storm. How? This article will help introduce you to your new skin care regimen. Naturally, your skin already has oils to begin with. They can be innately produced or introduced externally through several products, such as makeup, moisturizers and creams. OCM mixes with these oils already on your skin. As you massage it, the oil cleansers effectively pull out dirt and excess oils building up in your pores.However, compared with other oils, oil cleansers don't stay too long on your skin. They also don't penetrate the pores deep enough to clog them. The principle by which oil cleansers work is simple. They break down oils and dirt out of your pores and take these impurities with them as they get washed off. The process naturally lubricates your skin. As a result, you get clean, fresh and moisturized face. Although OCM offers a lot of benefits for your skin, it also requires a bit of work and research. To get the most out of this cleansing method, you'll have to know which oil combination is best fitted for your skin. Similar to most skin care systems, there are negative and positive sides to OCM. You have a lot of options when it comes to cleansing oils. You should, however, keep in mind your skin's needs in picking the right combination. Castor oil is a vegetable oil extracted from the seeds of the castor oil plant. It’s slightly pale yellow in color and has a distinct odor and taste. You can read our guide about best organic castor oil to find out more. It was used for centuries both externally and internally to treat cerebral palsy, Parkinson’s disease, arthritis, multiple sclerosis, and hair loss. The modern use of castor oil, on the other hand, includes treatment for acne and dry skin. 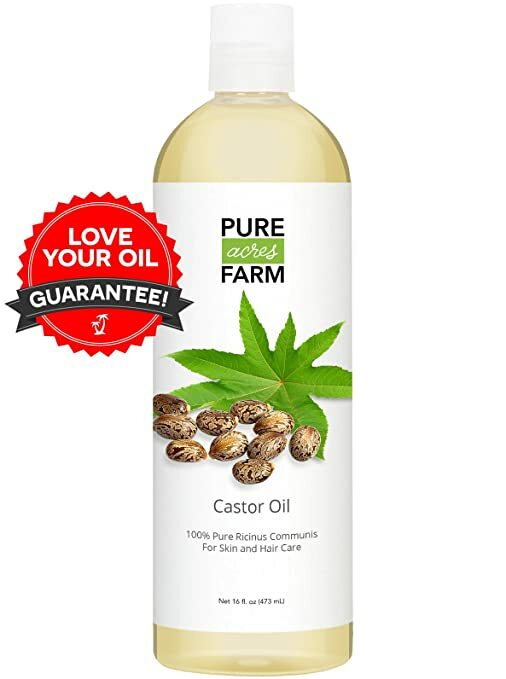 Sustainable or high-quality brands of castor oil work best in the oil cleansing method because they contain a more potent antibacterial property. However, because castor oil can be drying, you want to use it sparingly at first, particularly during the winter or if you have severely dry skin. If you have dry skin, you can add 3 parts hazelnut oil with 1 part castor oil. If you're battling with acne or oily skin, you can go a bit more liberal and use 2 parts castor oil with 1 part hazelnut. This oil is aromatic and appears pale yellow in color. It is often used to help repair dry hair as well as in treating inflammation and respiratory ailments. Because it's rich in unsaturated fats and vitamin E, hazelnut oil can help prevent premature aging, cancer, and even UV damages. It is also a good choice for the oil cleansing method because it offers excellent nourishing properties. Both castor oil and hazelnut oil are best suited for oily skin because they are effective in removing excess oils and sebum. If you have combination skin, sweet almond and jojoba oil can be the best combination for your skin. Both oils are mildly moisturizing and gentle. When combined, they most resemble the natural sebum that your skin produces. For proper concoction, you can use the two oils in a 50/50 proportion. Certain oils can be harmful to individuals with sensitive skin. If you have this skin type, the best mixture to start with is chamomile and jojoba as they are both gentle. Chamomile oil is also an excellent choice for reducing inflammation, redness and skin irritation. To create your OCM using these oils, you can start with two parts chamomile and 1 part jojoba oil. Dry skin can cause flakiness and peeling. If you’re looking for an excellent pair that will help moisturize your face, you’ll want to mix argan and avocado oil. If you find this mixture too oily, you can add a bit of hazelnut or castor oil to your mixture. Normal skin types need the right balance of astringent and moisturizing oils. Grapeseed, apricot, and castor oil work well with each other to complement the normal skin type. You can start with 2 parts apricot oil, 1 part castor oil and 2 parts grape seed. If you find the mixture either too drying or oily, you can re-evaluate the proportions and adjust as necessary. If using castor oil isn't tolerable, you may want to stop using it with the other oils. One of the most common reasons why several skin care products fail to deliver their promises is because they completely strip away all nutrients and oils from the skin. Without these factors, your skin becomes too vulnerable to even initiate its own repair. Usually, after using such products, the skin follows a typical cycle. Your skin will go through an episode of tightness and dryness which is followed by occasional episodes of oiliness. During this cycle, the skin overcompensates the dryness by producing oil more than what the skin needs. Aside from this, most skincare products used today also come heavily loaded with scents and fragrances. While they can add a lovely smell to the product, they are actually potential irritants to the skin. Tons of products claim to be unscented and natural. To make sure you only give your skin the care it needs, always check the labels first to determine if they are really fragrance-free. For best results, you may want to implement the process every night. You should also avoid adding store purchased products in your OCM regimen. Aside from confusing your skin, adding these types of products may even cause your skin to become more oily, dry or prone to acne breakouts. If you’re looking for added benefits, you might want to incorporate other beneficial oils to your concoction such as myrrh, lavender, rose or tea tree oil. It can take some time before your skin can get used to the oil cleansing process. If you do not see noticeable results right away, keep in mind that all processes need enough time to work. By religiously following OCM, it really won't be that long before you see the benefits of pampering your skin with natural ingredients. The following case studies can give you a clearer idea of how the oil cleansing method can change your skin and your life. In the first case study, the user had dry, dehydrated and acne-prone skin. Her skin care ritual involves splashing warm water on the face every morning and applying a small amount of almond oil after. 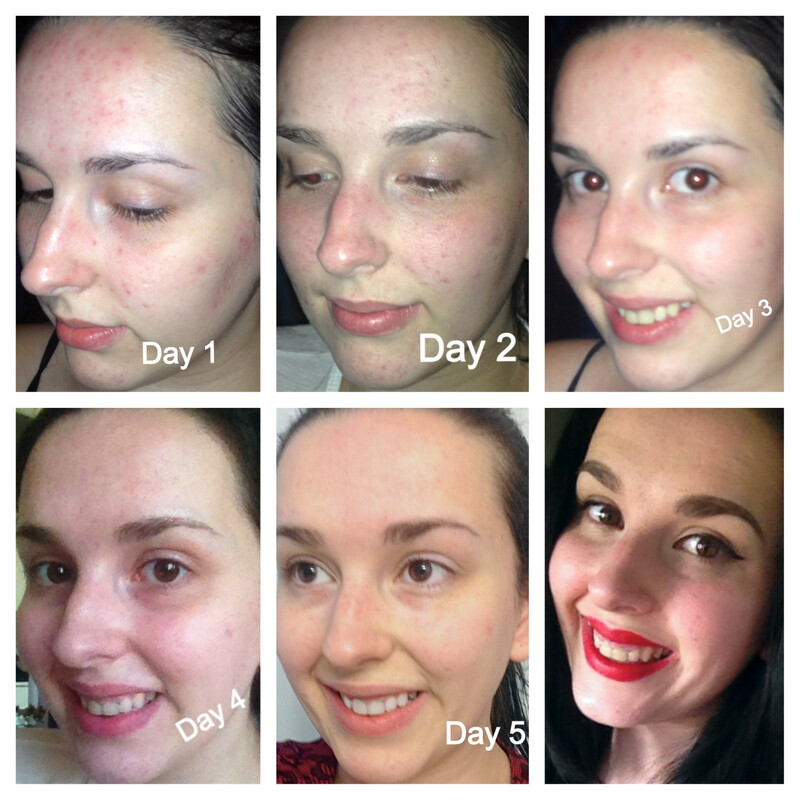 This user tried the oil cleansing method each night for one month. What she loved most was that she achieved winning results using natural products that didn't cost a lot of money. During the study period, she ran out of her oil cleansing mixture while out of town. Because of this, she had to use an astringent for around two weeks. Her skin showed a noticeable difference and her original problems resurfaced. Upon her return to her place, she was able to go back to the oil cleansing method and regain her healthy looking skin. This user kept a log of her oil cleansing experience. Day one showed her problematic skin that included acne and blackheads. Over time, she was able to document the changes in her skin. In addition to clearer looking skin, her face had begun to feel so much better as well. If she gets an occasional pimple, the blemishes heal much faster. She reports never to go back to using soaps, astringents or toners again. The oil cleansing method works best when done in the evening before you go to bed. When you wake up in the morning, you won't need any deep cleansing treatment as your skin will appear clean and refreshed already. For best benefit, you can simply swipe a warm cloth on your face when you wake up. You should be careful not to over-cleanse as it can lead to irritation, breakouts, and excessive oil production. Pour a liberal amount of the combined oils into your hands. It should be similar to the size of a quarter. To best heat the oil, you need to rub your hands together. Once it's warmed enough, you can start applying the mixture over your entire face. Massage the warmed oil into your face for several minutes. This helps remove dirt, makeup, and other noxious buildups. It also tones the skin and allows the muscles in the face and body to relax. During this process, take your time to slow down and de-stress. This allows the oil to penetrate the pores better. When you feel like you’ve saturated the pores, soak the washcloth in warm steamy water. This process helps open the pores and wipes your face clear of the oil. Place the damp cloth over your face and leave on for a minimum of 10 to 20 seconds. Wipe the oil off gently and rinse the cloth in between uses. This process should be repeated at least two or three times, or until the excess oil has been removed from your face. Use gentle motions and never scrub. If your skin is taut and dry when you’ve finished, apply a couple extra drops of the blended oil in the palm of your hands and rub together. Massage into your face. Because the oil will moisturize, there’s no need for expensive creams. The oil cleansing method can do almost everything for your skin. DO dilute castor oil with another oil such as hazelnut, jojoba or sunflower. This allows it the oil to penetrate the skin deeper and to soothe the epidermis well. DO select the right oil for your skin type. DO give your skin sufficient time to get used to this method of cleansing before deciding that it isn’t for you. DO reduce the percentages of castor oil that you’re using if your skin begins to feel taut and dry. DON’T use castor oil alone because it can be irritating to the skin. DON’T just refill the flip-flop oil bottle after your supply has run out. Before you replenish your supply, always wash the container to avoid bacterial growth. DON’T rinse off the oil with cold water. Warm to hot water helps dissolve the dirt and makeup on your skin faster. Keep in mind that oil and water just don’t mix. If you’ve previously tried the oil cleansing method, and your face has become irritated, red or you’ve noticed acne breakouts, you may be allergic to the type of oil that you’re using. The best way to determine if you’re allergic is to eliminate the particular substance and replace it with another type of oil. Give your skin time to clear up before you incorporate something new into your skincare regimen. This will allow you to pinpoint exactly which ingredient you're allergic to. After which, you can conveniently replace it with something safer and better. As with any product, you want to make sure that the ingredients you’re using are of high-quality. This is especially critical when you’re applying them to the face and skin. When purchasing oils, always check if their sources are organic, expeller or cold pressed. Organically grown items are safe to use as they have been nurtured without the use of chemicals, toxins or pesticides. If a source is not expeller or cold pressed, they are most likely refined. This means that its beneficial nutrients have been destroyed, and the free radicals are what's left behind. Before purchasing your oils, take a look at the list of ingredients first. Looking at the back of the products can give you an idea of how they were manufactured. After using the oil cleanse method for a certain period, your soft washcloths will start to accumulate oil, especially if you frequently use them in between washings. This can make it difficult for you to completely remove the residue. When you’re ready to launder the washcloths, you may want to do them separately from your other laundry. You may also want to ditch the fabric softener and add baking soda and vinegar instead. It’s important that your washcloths remain as synthetic and residue free as possible. Adding fabric softener to your laundry can leave both behind. 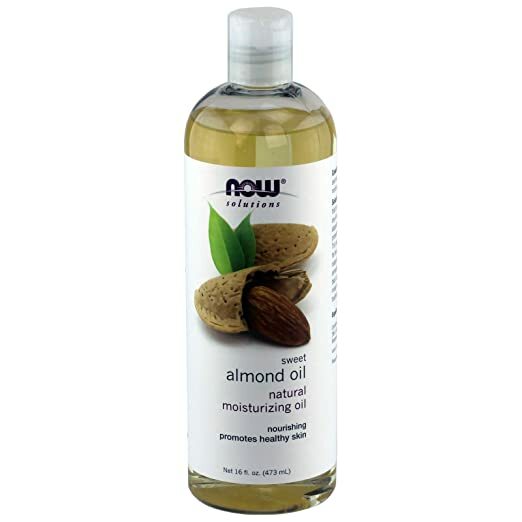 Castor oi﻿﻿l and hazelnut oil are two of the most promising oils for your skin. However, you should still be open to researching which items are most beneficial for your skin type. If you have sensitive or acne-prone skin, you may find coconut oil and olive oil to be more problematic than the other varieties because they can cause even more breakouts to occur. Question #1: I started with a mixture of sunflower and castor oil but have experienced numerous breakouts. What should I do? Not all adjustment periods are the same. Some individuals can see immediate results without any form of complications while some people need more time to get used to the process. It can also take extensive time for your skin to regain its balance through the oil cleansing method. This makes it important that you assess your skin for any allergic reaction. If you see signs of irritation, stop the mixture you're using. Give your skin enough time to recover before changing the mixture you’re using into something more compatible with your skin. Question #2: Will my initial breakouts begin to go away after a certain period? The oil cleansing method can make a person break out at the beginning stages of application. However, with continued use, you'll start noticing that your problematic skin is actually getting better. Question #3: I use cleanser, toner and moisturizer in my skincare regimen. Where do I fit the oil cleansing method in? The oil cleansing method acts as a cleanser, toner and moisturizer all in one. Adding any additional ingredients can cause your skin to become confused. It can also cause breakouts and skin irritations. Once you decide to use the OCM, you won’t need anything else. Question #4: If I wear makeup, do I have to double cleanse? The oil cleansing method is enough to get rid of stubborn mascara, foundation, and concealer. The steam rinsing and removal using a washcloth can also aid in the process. Question #5: I use coconut oil in cooking, is it safe enough to put on my skin as a replacement for hazelnut or castor oil? Coconut oil has a lot of health benefits. However, when it comes to the oil cleansing method, it has been found to be extremely oily. Users have noticed considerable breakouts after usage. If you want to avoid experiencing the same inconvenience, so you may want to find an alternative oil. Question #6: I’m confused with the terminology parts when it comes to measuring the oil mixtures. If you’re going to create 4 ounce of cleansing oil solution, you’ll need to combine equal parts of the liquid. This means 2 ounces of hazelnut oil and 2 ounces of castor oil. Cleansing the face doesn't have to be complicated. As a matter of fact, by taking the time to find the right blend of oils for your skin and religiously applying it before you go to bed each night, you'll be rewarded with rejuvenated and blemish-free skin. Now that you're aware of what oil cleansing method is, are you ready to put it to the test? Thank you for all the great info. What oil combination would you recommend for aging skin? I heard many benefits about Vitamin E Oil + Sea buckthorn oil. Would you recommend using those two oils as a combination for dry / sensitive / acne prone skin? Or could one of them be used with castor oil?